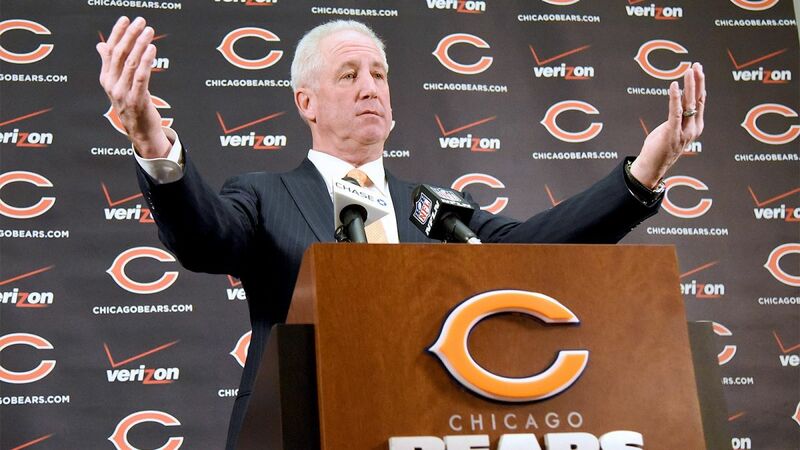 The second-year turnaround did not happen for John Fox. The Bears coach, who twice in his career has turned in triumphant rebuilds in his second season, will try to win just his fourth game today against the Vikings. But, according to those who know him well, Fox will have the opportunity to make his mark in the third season. In addition, much of his staff is slated to return, as well. The losses have collected for Chicago, a frustrating two seasons. The result is not what anyone has wanted. But in making the decision to stay the course, the Bears appear to be looking at more than box scores. The Bears have hung tough with teams in playoff contention, such as the Giants, Lions, and Packers. They’ve done so with their fourth quarterback of the year, Matt Barkley who likely would be out of the league if the Bears hadn’t put him on their practice squad to start the season. They have a whopping 19 players on Injured Reserve, including many, many starters. In addition, their 2016 draft class will be the foundation of the rebuild, a class that has drawn praise from opposing executives. All of which makes for an interesting evaluation of Fox, his staff, and the year: They’ve been forced to play young players and watch them develop. The culture, despite the losses, is a positive one. And they believe the future is bright. Could they follow in the footsteps of the Raiders … or Cubs? It’s not perfect, of course. There could be some position coach changes, and they need a quarterback. But it will likely be Fox at the helm when it happens. Completely unsurprising. And fair. But Fox will have to win games in 2017.